Cars have had tire pressure gauges forever, and coming this summer, Quarq—SRAM’s technology brand—thinks bikes should as well. The company unveiled its new TyreWiz real-time tire pressure sensor at Sea Otter yesterday. 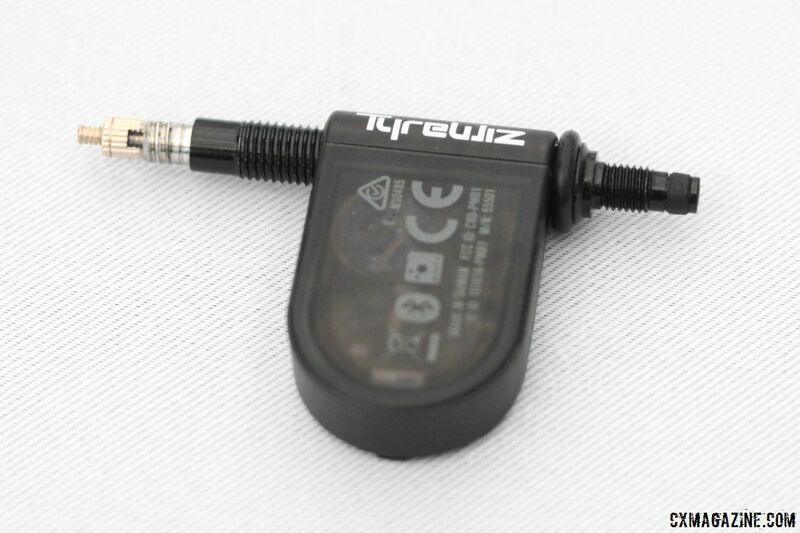 The TyreWiz sensor measures and transmits tire pressure every second, so it will give you real-time tire pressure. It also includes high and low pressure alarms at levels of your choosing. The reported accuracy is +/- 2 percent with a 0.1psi level resolution and a max pressure reading of 150psi. The battery life is 300 hours with a CR1632 battery, so the TyreWiz should last much of the year for most riders. The sensor communicates using Ant+, Bluetooth and NFC, so you can monitor pressure via smart phone or cycling computer. Quarq is expecting to have an app for smart phone users, Garmin users should be able to get pressure readings via Connect IQ and Wahoo computers will connect natively with a firmware update. 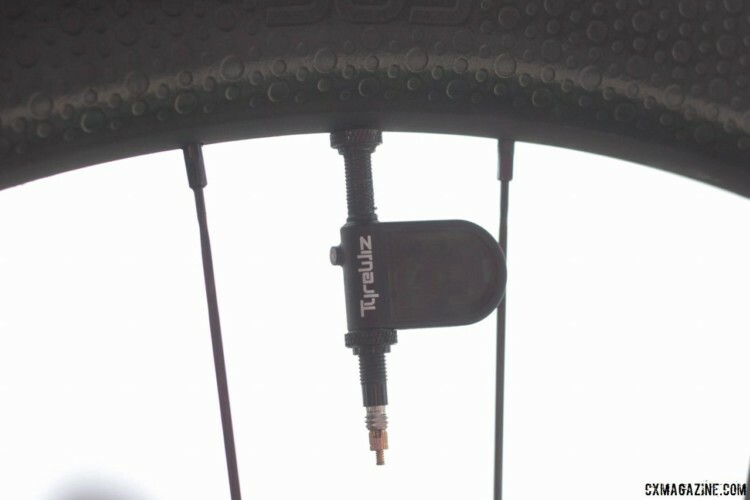 The small 10g TyreWiz sensor installs via your bikes valve stem. Take off the removable valve core and install the sensor, which includes its own Presta valve stem. The package comes with a valve core removal tool, which is a thoughtful addition. It is advertised as waterproof, impact-resistant and perhaps most importantly, sealant compatible. We tested it with sealant and a tubeless setup at Sea Otter and found no signs of trouble. 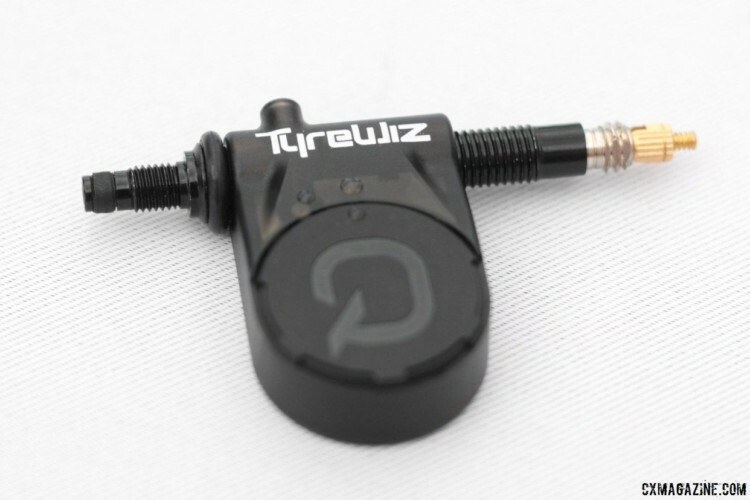 The TyreWiz sensor should work with tubes, tubeless and tubular setups that have removable valve cores. The TyreWiz will be available on June 1st and will cost $199 for a pair of sensors. It is currently available for pre-order. We are looking forward to testing the TyreWiz out. It looks like it should be perfect for cyclocross and gravel where 2psi high or low represents up to a 10-percent difference in tire pressure.